TOKYO ─ September 28, 2017 ─ Sumitomo Corporation, a leading Fortune 500 global trading and business investment company based in Japan, and Gogoro®, a technology leader transforming how innovation is bridging sustainable energy and urban transportation, today announced a joint partnership and introduced a new Smartscooter sharing service that will launch this year in Japan called GoShare™. 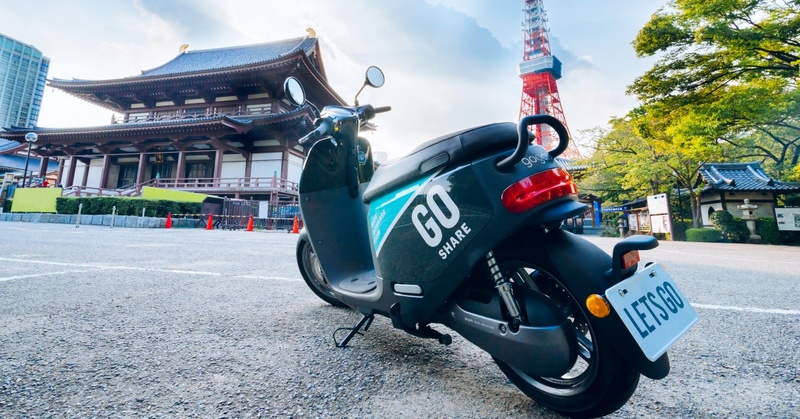 Earlier this month Gogoro announced Sumitomo Corporation as an investor. Founded in 2011, Gogoro is putting energy into things that matter. With a mission to deliver consumer innovations that will improve how the world’s most populated cities distribute and utilize energy, the company is enabling the transformation of megacities into smart cities. Gogoro is working toward a better future by putting power in the hands of everyone – to move us all forward, faster.